PropTech is one of the most dynamic technology and innovation spaces on the global map right now and Africa is no exception. The eruption of big data, augmented and virtual reality, the Internet of Things (IoT), cryptocurrencies and blockchain onto the local and global stage has seen entrepreneurs and startups shake up the real estate industry and big brands sit up and pay attention. There has been significant funding and VC activity in South Africa over the past few months. According to the Southern African Venture Capital and Private Equity Association (SAVCA), private equity investment more than doubled in 2017 to a total of R31.3 billion. This investment is also reflected in the PropTech sector as startups and entrepreneurs flourish thanks to these investment gains. One of the big corporate names in South Africa, Naspers, has recently earmarked R1.4 billion in funds to support the South African startup and drive local innovation. It’s an impressive amount of money and sets a precedent that may well see other big brands follow suit. 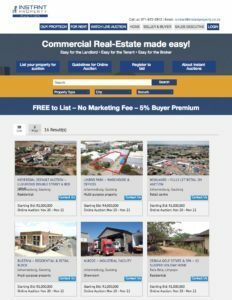 Rent business space anywhere in SA and its free to use Instant Property. A number of promising investments and JV’s have emerged recently in the South African PropTech Sector. 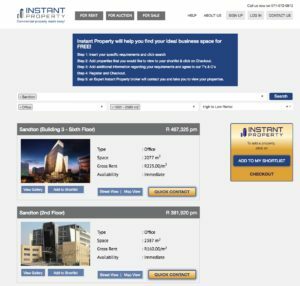 Instant Property, South Africa’s largest commercial centric property platform that lists office, industrial and retail space for either rent or for sale as well as offering industry player software as a service PropTech solutions, has recently signed an investment agreement with HAVIAC, an investment and advisory firm that specialises in high-growth businesses. The full details of the agreement, alongside other PropTech changes influencing the South African market can be found here. Meanwhile, a JV between Pam Golding Properties, one of South Africa’s largest estate agencies, and BidX1 – the second largest auction house in the UK and Ireland – will very likely shake the foundations of the market considerably over the next year. 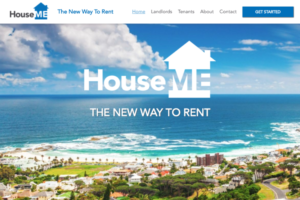 Other PropTech ventures that have received investor attention include HouseME, a startup that secured a multimillion Rand deal, and a bevy of fresh tech startups that include My Bond Fitness and Wealth Migrate. Alongside the rise of investment and VC activity in South Africa, there has been a sudden and interested realisation by the traditional property sector. The realisation being the need to wake up and pay attention to the disruptive startups that are changing the way the real estate industry operates. These new startups have created innovative new ways of buying, renting and selling and the larger brands are snapping them up so they can revitalise their own business bottom lines. One of the big purchases of 2018 is by real estate giant, Pam Golding – the well-known company recently purchased Eazi.com, an online portal for property sales, as part of its goal of adopting a ‘hybrid estate agency model’. 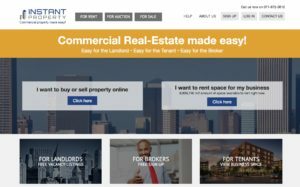 This trend has also seen the purchase of Steeple by PropertyFox which recently sold a 49% stake to SA Home Loans. A startup purchasing a startup while being purchased by an established financial institution. A worthy mention goes to MRI Software, a global company that provides real estate software solutions, that recently purchased MDA Property Systems and Propsys in a move to strengthen its presence in the region. The South African market has clearly seen significant interest with investment and acquisitions and these have had a knock-on effect when it comes to local growth and presence. Wayne Berger, MD of iShack Ventures a PropTech venture builder, and Sean Godoy, Director of Divercity Property Solutions, have established the South African PropTech Association to further the goals of the PropTech market in South Africa. This will play a significant role in supporting the growth of the industry and innovation. 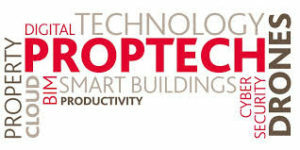 Co-Founders Wayne Berger & Sean Godoy have successfully agreed an international PropTech partnership with Future Proptech the world’s number 1 PropTech event, which will take place in London on the 13th and 14th of May 2019 at the Business Design Centre (52 Upper Street London). This partnership will ensure that an International spotlight is placed on the South African PropTech and Real Estate sectors as well as giving the very best PropTech providers the opportunity to showcase their technologies to an international audience.